Why not to support some craziness about gadgets which are contributing something good for our environment? But now one can find endless series of such eco-friendly gadgets which can do their function to save our extra consumption of energy and helping use to protect our atmosphere from increasing pollution. Here some gadgets at workplace, which are not only eco-friendly and energy saving but also cheap to buy for your own use. Although every individual would have desk lamp at his or her home and workplace, what will be good if it would be eco-friendly and energy efficient. But now this is possible with energy saving desk lamp. 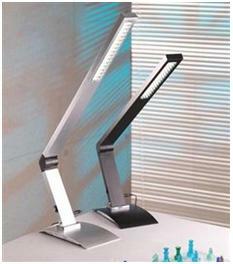 This lamp holds a 13 watts bulb lightening and will up to 25 percent of energy as compared to an ordinary desk lamp. With latest technology, environment friendly gadgets at offices would have fun and technically great saving too. When you are going to purchase gadgets relating to energy, don’t forget that if you are not purchasing energy efficient gadgets, you are parting your mother earth. As compared to daily use cartridges in workplaces, these cartridges are eco-friendly and not shipped in excessive packaging to stop the pollution of due to wastes of packaging. These cartridges will work for Epson 79 printers and made with packing products and biodegradable cardboards. If you cannot afford to buy a solar panel for energy provision to your office, you may consider buying the saving Powerbar to facilitate you in work at PCs. This device is automatically working with motion sensor and will after 10 mints of no operations performed and four devices will cut off from using the energy. Now you can take coffee at your work and relax after all day long working with this new green recycled and recyclable mug. 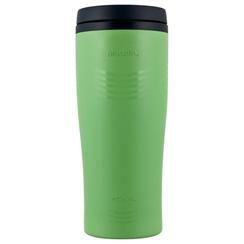 This mug is 100 percent recycled from plastic material and friendly to the environment. 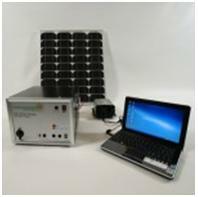 This is a solar power station using which you can charge your mobile phone, laptop and other charging gadgets being at workplace. This recycled circuit board should be placed close near to the window where it should get optimum amount of energy. These eco-friendly gadgets will not only add a great value to our environment but also helpful to save the energy which is wasted too much in workplace.